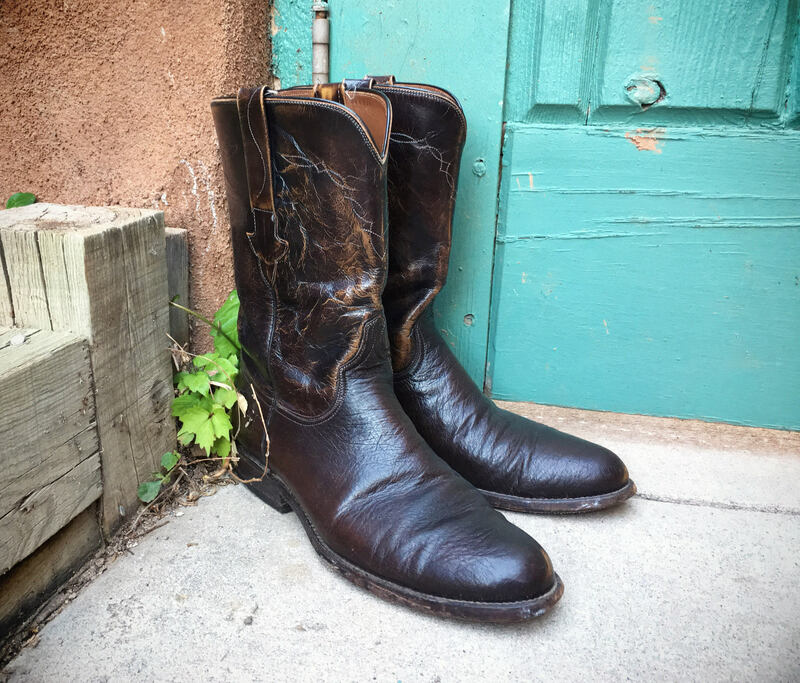 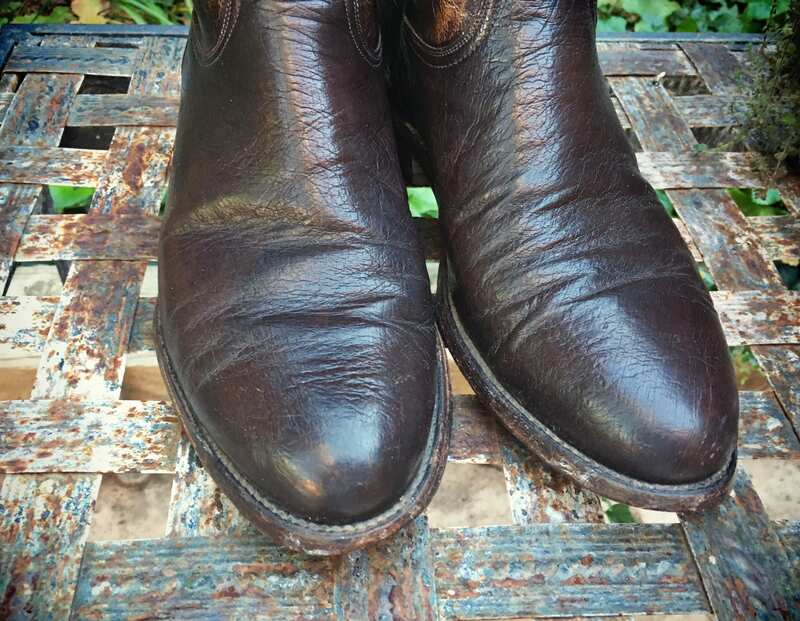 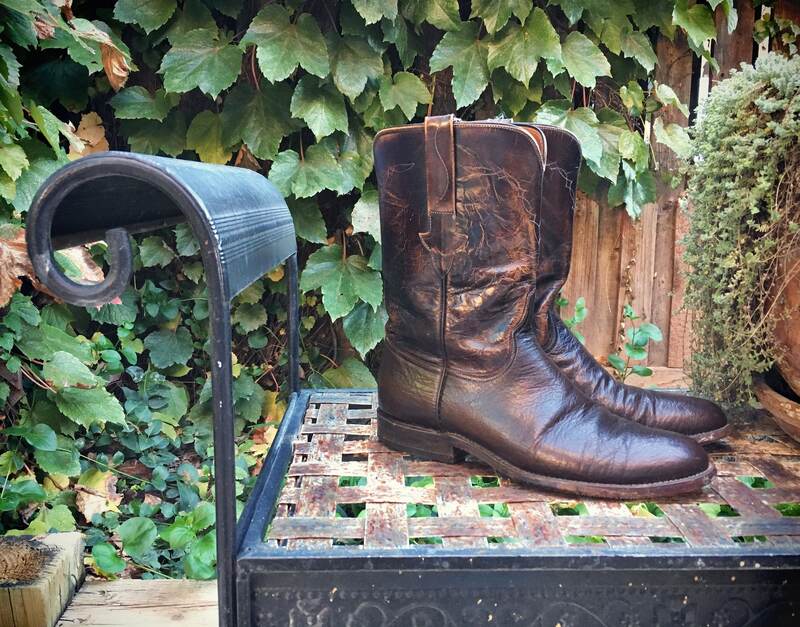 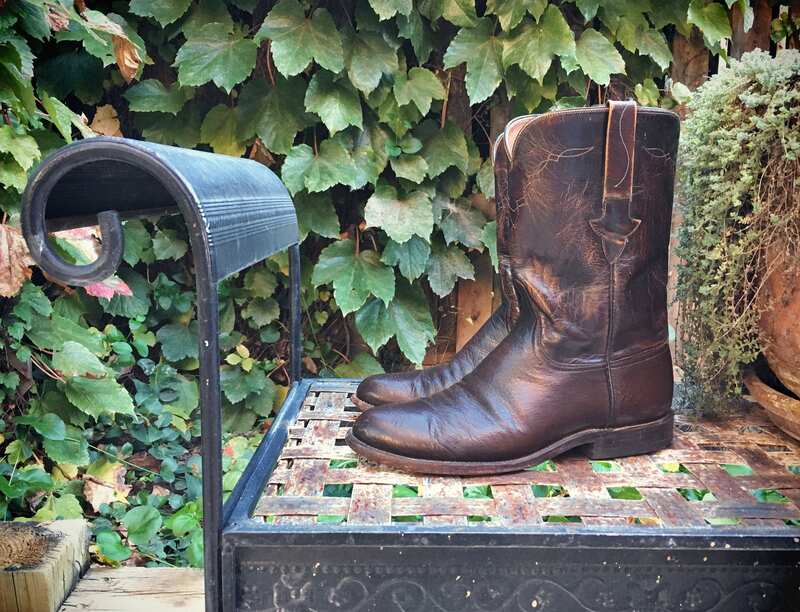 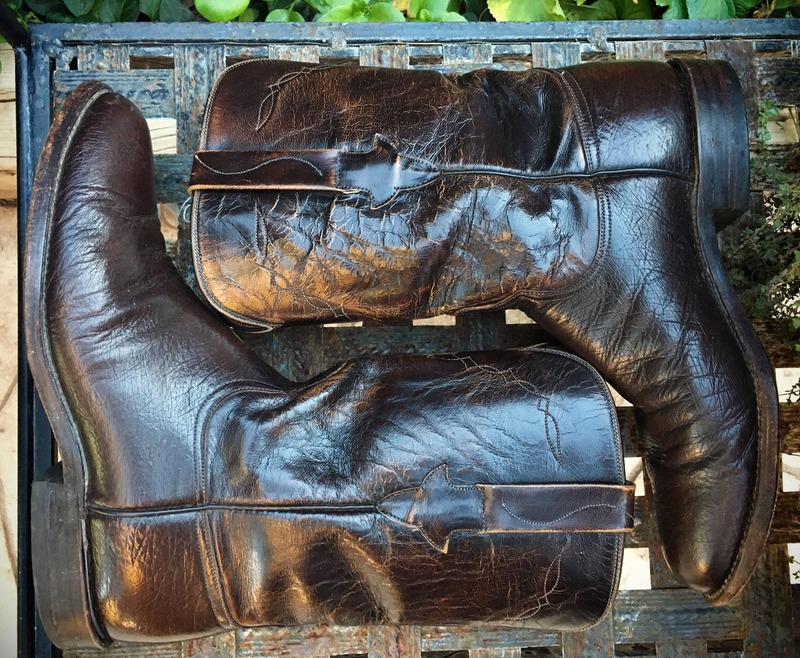 Here we have a pair of great looking and well-maintained Lucchese roper style boots in a Men's Size 8.5 D, made with the slightly pebbled leather of a smooth ostrich on the vamps. 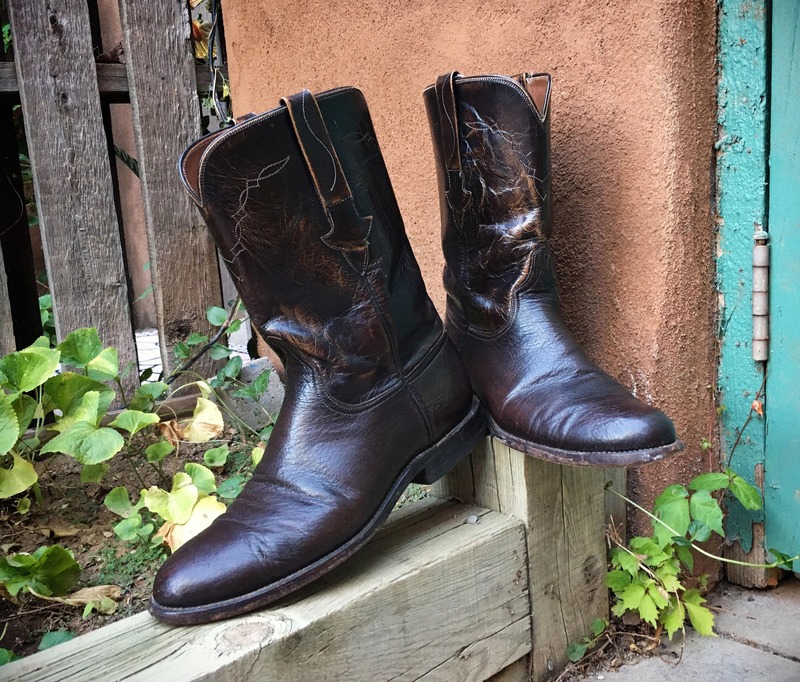 The boot is made in the good ol' USA, and the deep almost reddish brown leather exudes a rugged cowboy look. 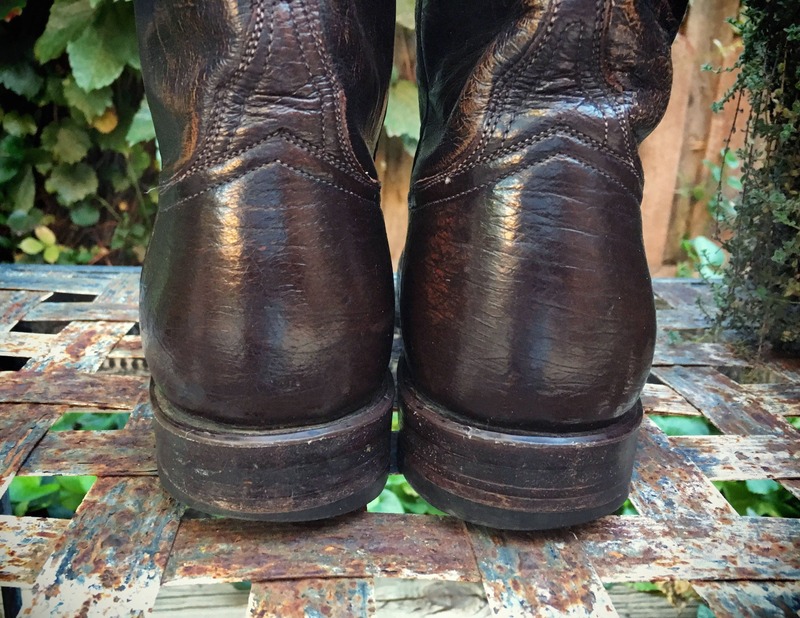 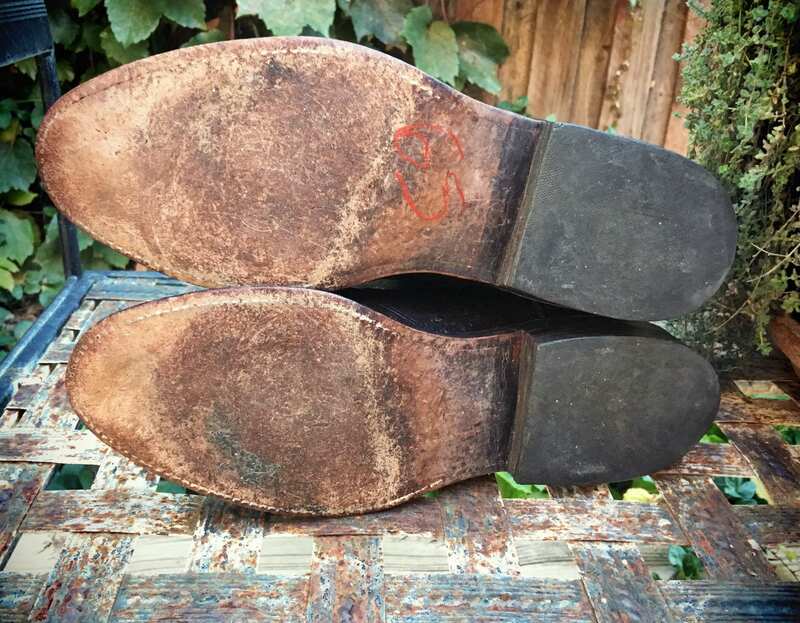 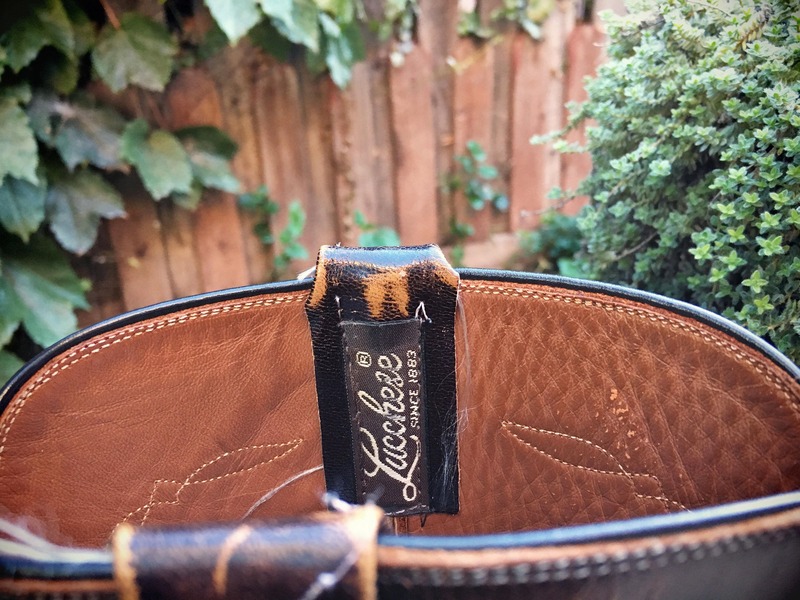 The quality of vintage Lucchese, the benefit of being broken in! 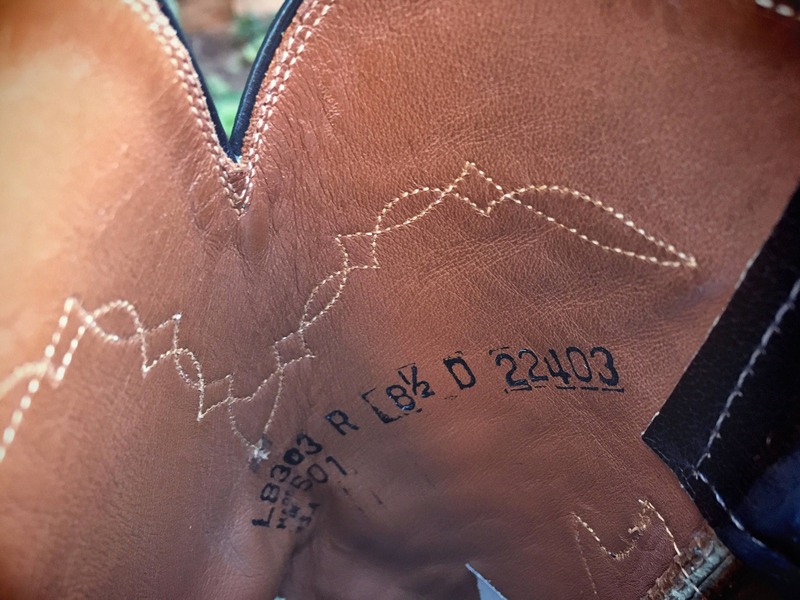 Sole, heel to toe: 11-5/8"
Sole, across ball of foot: 4-1/16"
Shaft, down back from top of the heel (not ground) to the top of the leather upper: 8-1/2"
Side seam, from the top of the heel (not ground) to the top of the leather strap: 10-3/8"